This abstract, macro photograph of the wick of an oil lamp is a simple but intriguing piece of art. The wick appears to be some sort of an abstract plant sticking out of a frozen rippled surface. 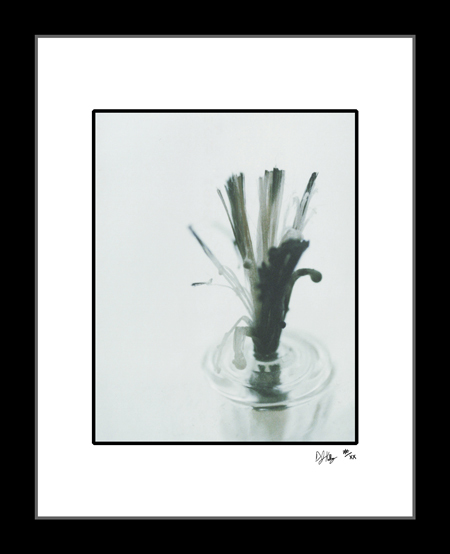 The stark background and the neutral colored wick give this macro photograph a unique and interesting appearance that is sure to be a conversation piece in any room.